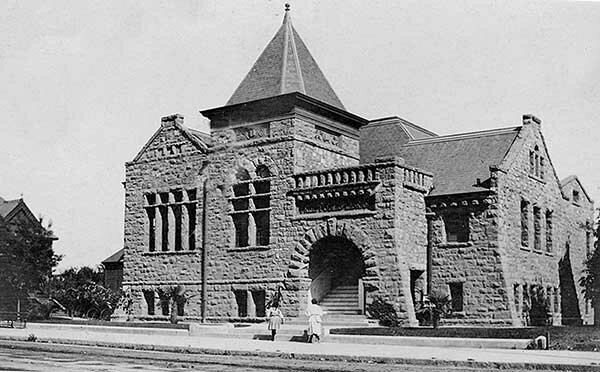 Santa Rosa's library history includes several short-lived libraries between 1859 and formation of the Santa Rosa Library Association in 1875. An 1878 offer of this library to the city under the Rogers Act was declined; it was 1884 before the combined efforts of women's organizations and the newspaper editor succeeded in the city taking over the library and providing space in City Hall. In 1890 Santa Rosa hired the county's first professional librarian, Bertha Kumli, who guided the Carnegie project through from the application for $35,000 and acceptance of the offered $20,000 in March, 1902. Community leaders purchased a lot and Sacramento architect E. M. Hoen designed the building in the Romanesque style. The builder was William Peacock of San Francisco. The cornerstone was laid on April 14, 1903 and the building opened on March 10, 1904. Miss Kumli next joined the State Library and achieved a statewide reputation for her work for the county library system and in helping small communities establish public libraries. 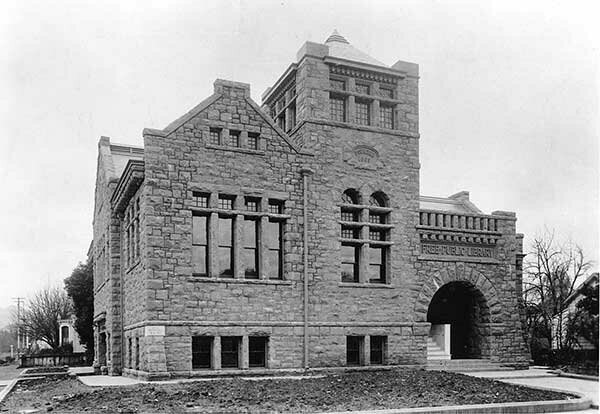 The Carnegie building was extensively damaged in the 1906 earthquake, and Carnegie provided $6,900 in additional funding for repairs. The building then served as library until 1960 when it was condemned as unsafe. The books were moved to temporary quarters, the old building was demolished in 1964. A new library on the same site was completed in 1967.